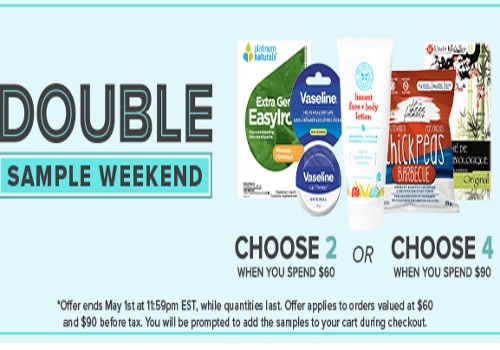 This weekend Well.ca is offering Double Free Samples with purchases! Choose 2 when you spend $60 or Choose 4 when you spend $90. Offer is valid until May 1, 2016, while quantities last. You will be prompted to add samples to your cart during checkout.